This is the playlist of the Nerdy Black Chicks Podcast archived episodes from episode 1 in August 2013 until June, 2014. 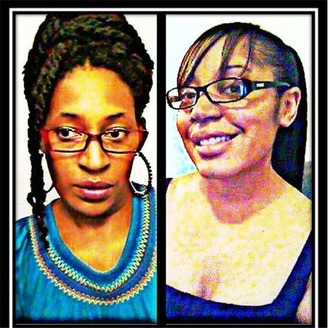 For most recent and new episodes, please check out The Nerdy Black Chicks Podcast on TalkShoe, Stitcher, and Itunes. 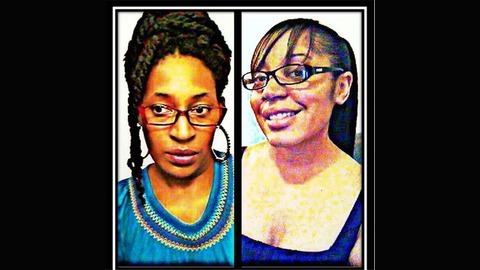 The Nerdy Black Chicks Podcast (formerly Nerdy Black Chicks Talk Radio) is a weekly online radio show. Hosts, Lavinia and Boughetto Rising are cousins, living two very different black experiences. Boughetto's a former police officer from Baltimore City. Lavinia's a full-time mom from the outer edges of the suburbs. Join them Wednesday nights at 11pm EST on as they share their perspectives on news stories, politics, entertainment, pop culture, current events and general ratchetness. (Intro) Boughetto has a struggle kitchen moment. Lavinia shares her kitchen creation. (13:00) Ya Ya Dacosta to play Whitney Houston in upcoming LifeTime TV biopic. (19:45) Blu Ivy-gate. Nappy-gate. Cant' a Toddler live? Boughetto coins "Creole Denial". (35:00) Love & Hip Hop's Stevie J arrested for owing $1M in back child support. (43:30) Black folks and their creative funeralizing situations. (50:45) New reality tv hot sleezy messes, "Preacher's Exes" and Mona Scotts Black college Greek life show. (59:00) Justin Beiber gets baptized by hipster NY pastor in a hotel bathroom. (1:04:15) Quick revisit to the Pastor These Hoes Aint Loyal story. After hearing the entire message, are their opinions changed? (1:08:15) The GOP wants to go back into Iraq. (1:10:45) Lavinia's side bar: There aren't enough summer programs available to kids due to budget cuts. (1:12:15) The Arsenio Hall show is cancelled...again. (1:15:00) Little Bill's Alice the Great (voiced by Ruby Dee) passed away. RIP Queen Ruby. Lavinia: @shebeshonuff (Twitter/IG) facebook.com/lavinia.shonuff; Boughetto: @boughettorising (Twitter/IG); facebook.com/boughettorising; Nerdy Black Chicks: @nerdyblkchicks (Twitter) facebook.com/nerdyblackchicks, rebelmouse.com/nerdyblkchicks, nerdyblackchicks@gmail.com/ Thanks for listening! Please share the show link and rate us on Stitcher & Itunes.